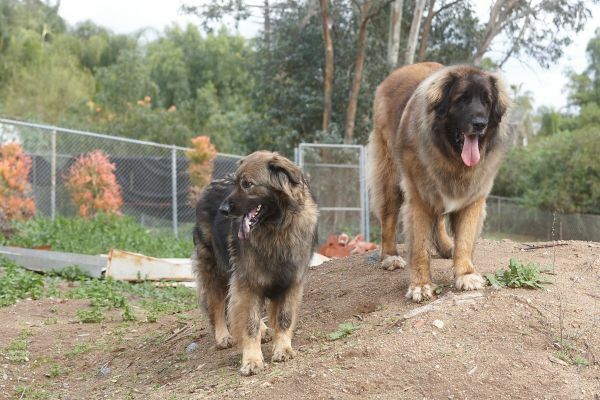 We are currently in need of financial support as we have a large group of Leonbergers to care for. The following three dogs are currently being fostered in Southern CA, but we will arrange transport as needed. 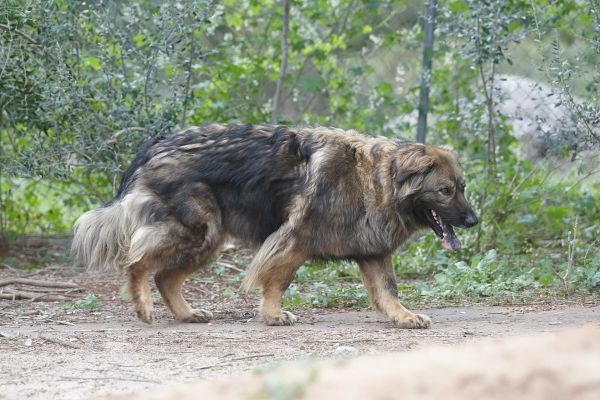 Neutered male, 4 years old (almost 5), 111#. 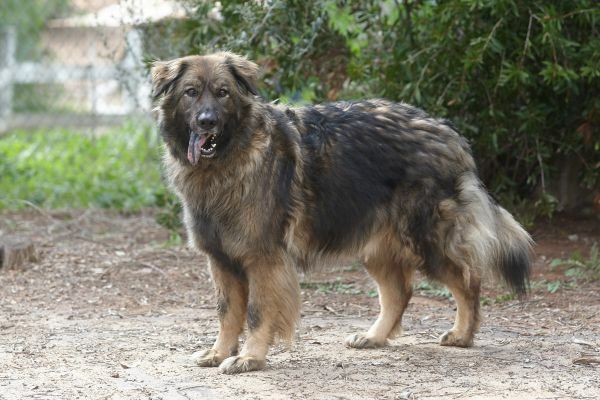 His mother reported to be a German Shepherd. 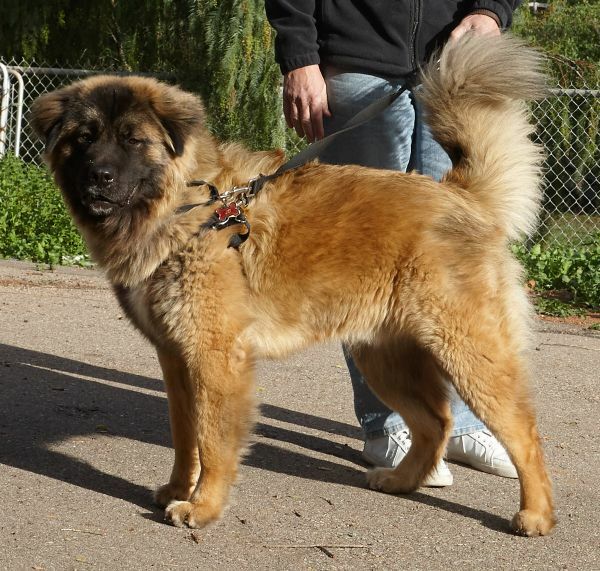 That would be consistent with his overall structure, although his fur is much more Leo. He is in rescue because he was injuring or killing livestock—chickens, rabbits, and some lambs (one of the lambs died of his injuries). He is wonderful with people and other dogs. The owner reported that he is fine with horses and “tolerates” cats, although given his history I’d be careful on that. He lived primarily outside during the day and in a crate inside at night, but in foster he is doing fine living with other dogs in the house day and night. He lived with children of all ages. He is average activity level—very calm and gentle in the house. 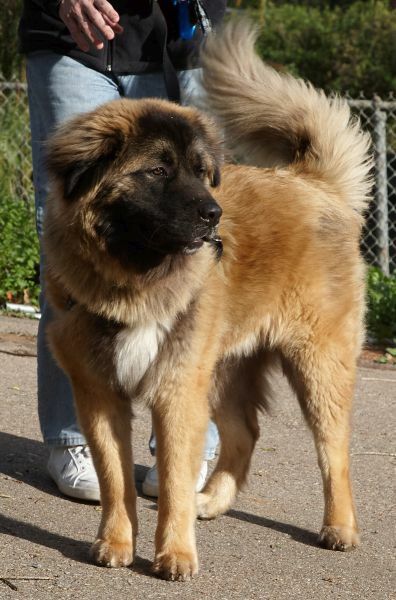 Neutered male, 1.5 years old, about 100#. He is very high energy. He is great with people, but not with other dogs—at least yet. It seems like he never learned dog manners. He was in a county shelter, so we don’t have much background on him. 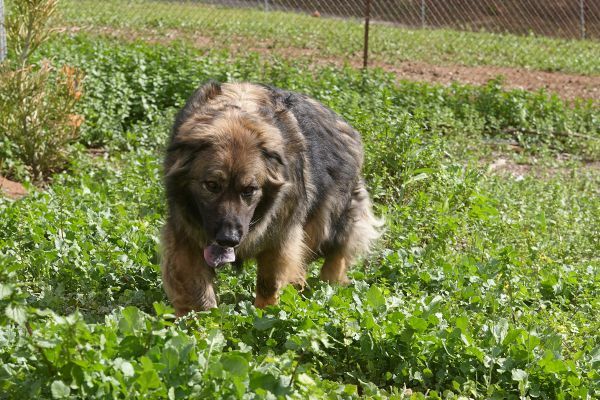 He would currently do best as an only dog with an active owner and lots of room to run. When There Are No Dogs Listed Here? Well you see, our problem which really is not a problem is that most dogs go into foster to adopt homes and those just in foster get adopted quickly. There's no time to put them up on the adoptable page. Some of our rescues are long term fosters that cannot be adopted “as is” due to health and/or behavioral issues. Only when those issues are resolved do they go up for adoption. We have so many applications on file (Thank You to all that apply and do not loose hope) the dogs never make it to this page. So even, though, you may not see dogs listed here; it doesn’t mean we have no dogs in need! Please, if you are interested in adopting, completing an application will give you the best chance to be considered…Do not wait to see dogs appear on this page. Please consider completing our forms for Fostering and / or Adopting.